Mia Hansen-Løve's third film, Goodbye First Love is being released in New York and LA on 4/20. This is my interview with her, conducted last year during the New York Film Festival. 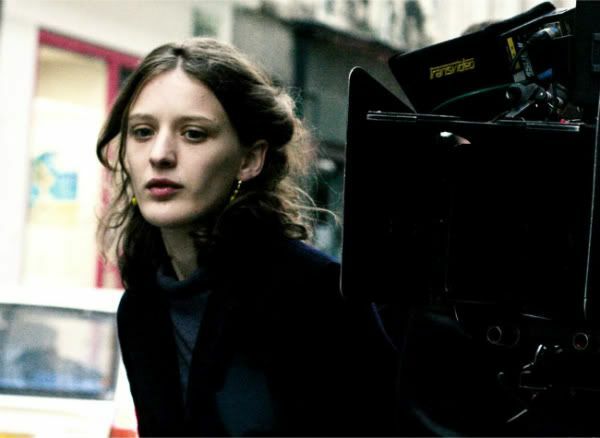 Hansen-Løve, the 30-year old gifted French writer/director, made her film debut first as an actress at 17, in Late August, Early September, directed by her future husband, Olivier Assayas. But it is her acute, clear-eyed depiction of growing pains in her own films that has been garnering critical acclaim (her second feature, Father of My Children, won the Jury Special Prize in the Un Certain Regard section at the 2009 Cannes Film Festival). Goodbye First Love tells that universal theme of young love with a great deal of insight and maturity. It is definitely her best film to date. There are differences writing three-dimensional characters on paper and working with actors to bring them into life. I am just amazed by how you were able to facilitate those amazing performances from young actors in Goodbye First Love. I am very curious to know if you have a different method dealing with young actors. I get a great pleasure working with young people, not only adolescents but also children. But it has to do with working with non-film actors and actors with little experiences. I had a lot of pleasure working with Magne (Magne-Håvard Brekke) who is a stage actor and has had very little experience in film previously. There is certain innocence in non-film actors, young or old. It gives me great joy in seeing how they respond to the camera, and capturing that is very essential to my films. Honestly, I find that working with known actors and big trailers and all that business very depressing. Surely there are some famous actors I'd love to work with, but for me it's all about the uncluttered relationship between me and the actors. The simpler relationship, the better. It makes me very happy to have that intimate relationship, especially with young actors and children. That's what struck me at the Q & A session yesterday with Lola (Lola Creton). Because she is extremely shy. But in your film, she is completely open and free. You know, I have to say something about that because it reminds me so much about myself. When I was 16, 17, I was really unhappy with my life. As the case with many other adolescents, I was extremely melancholic. Then by chance I was in this film (Late August, Early September), I say by chance because I was in theater school and I was chosen to be in the film. The experience changed my life. 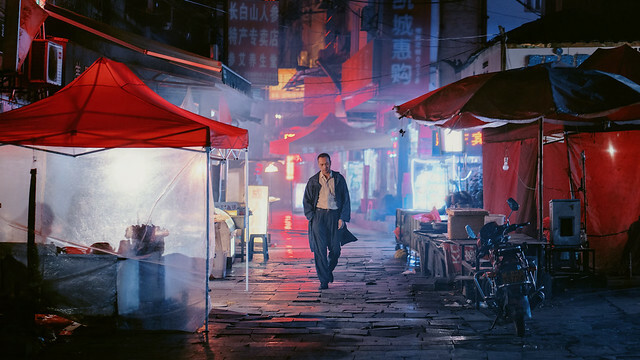 It is difficult to interact with so many people on a movie set, but there is something to be said about finding yourself through another character. It's like being your self by not being yourself, if that makes any sense. Cinema gave me that freedom. The experience never left me. I think that's the reason why I want to go through it again and again to relive that experience through young people. I see myself in Lola. She has the same double personality. In real life she can be very shy and introverted but on set, she becomes extremely generous and wants to give you everything. It really moves me to see people who can't communicate well in real life, but through power of fiction and playing characters, they blossom. I think this is particularly true with adolescents. Maybe that's why they respond to you because they can feel that you understand what they are going through. There are not many directors I can think of who can bring out that kind of performances out of young people. Thank you. But it's not like I would be going around filming every adolescent. (laughs) I think Lola is different. Unlike other non-actors I've previously worked with, she is still very much an actress. Maybe not one of those who are self assured and can discuss about characters and scenes in depth. She can be professional, but there is a certain uniqueness, certain mystery about her that makes me just want to film her all the time. What I am interested in, when I choose an actor for a project, is not what she's done before, but what I imagine I can project on her. It's very scientific in a way. A little confidence you give the actors makes them capable of everything, every time without fail. For instance, I had children crying in my previous film. You can't make them cry on command. You have to build your trust in them. Alice (Alice de Lencquesaing, a young actress in Father of My Children) told me about meeting Jacques Doillon and asking him about this great little film he did and how he got this amazing performance out of a 4 year old girl. Yes. Doillon said the girl did it because she wanted to please him. It's that kind of love and tender relationships I want for my films. I learned that from Olivier. That look he gave me when I was sixteen, the trust he had in me, things he saw in me that I myself wasn't aware of, made me come through. First love is such an universal theme. When you were writing it, did you write it from the personal perspective or have broader approach? I totally wrote it from my personal perspective. I think the more specific you get, the more universal it becomes. If you see the first love in a larger context, you'd lose all the nuances. I'm talking about layers and deeper nuances in relationships not the little practical details. For me those nuances reveal truth about the relationship. I try to stay away from all the archetypes in literature and in films about first love that we are influenced by, consciously or unconsciously. So when I reread my script, I struck all the lines that sounded typical. I am very strict and rigorous with myself to watch out for those kind of dialog. Also more often than not, it's those dialog that are deceptively more efficient and therefore tempting. So I try to veer away from efficiency and stay truthful. Even though it is from your personal experience, it is universal though. The film really hit me right in my heart. Thank you. That's what any director can hope for. You write something and try to make it as personal as possible and hope that it would somehow transcend your own experience. Can you tell me the current climate of French cinema after the passing of Humbert Balsan (independent producer of such directors as Claire Denis and Lars von Trier and the subject of Father of My Children)? It was depressing times after Humbert's death. But the industry came back and it's business as usual. That's life. But the budget gap between big films and independent films are getting wider. I've been very fortunate because I was kind of an exception to the rule. My films have very little commercial appeal. Somehow I fell in the cracks and was able to sidle up between the cracks. I have to tell you that my films are not cheap. It may not show, but I have a lot of sets in my films and they cost money. I am very lucky I found money for this film. But I'm not very optimistic about the new one I'm planning on making, since it will be expensive and not very commercial. I don't really know how this miracle will happen. It will happen. It will happen. So what is this next project? It's called Eden. It will be a two part film, like Carlos (directed by Assayas). (laughs) No, it's about a destiny of a French DJ in the 90s. Part one will take place in the 90s with the rising popularity of electronic music in France and the second part in the 2000s till now. That sounds expensive. Good luck.